Sleep through the night effortlessly with the Bliss Queen Pillow. 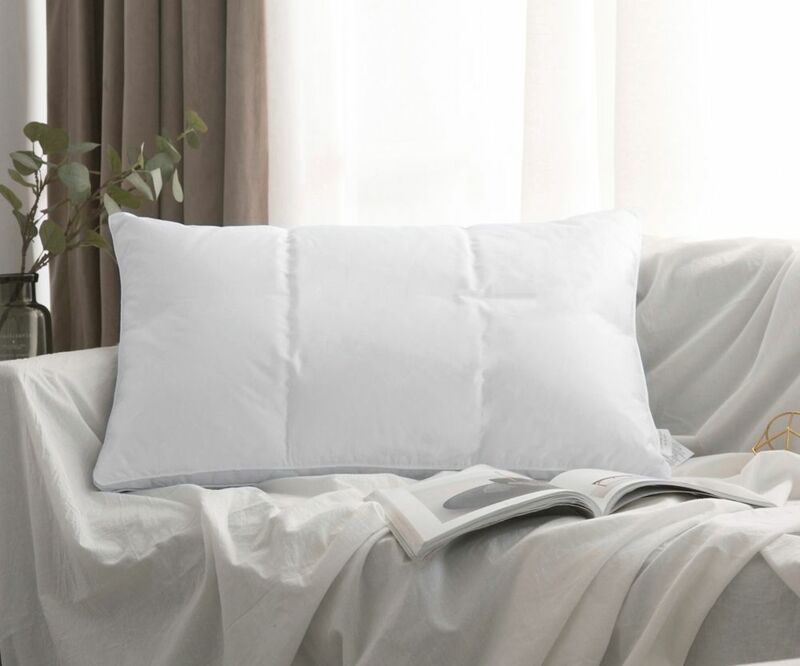 Made up of smooth bamboo rayon covering, this memory foam pillow is ideal for people who suffer from seasonal allergies, thanks to its breathable, hypoallergenic and anti-bacterial properties. The memory foam shell makes it easy for your head to melt into this pillow as it moulds to every curve and contour of your upper body while providing relief to your pressure points. The inner core of the Bliss Pillow consist of foam shreds that can be moved around as needed until you find the most comfortable arrangement. As you move around in your slumber, this smart pillow readjusts to conform to and support your head and neck. With its 1 year warranty, this ultra-lush pillow is sure to improve the quality of your sleep by allowing you to wake up feeling fresh and free of perspiration. Hutterite Duck Down ChamberLock Pillow, Standard20 Royal Elite Hutterite Duck Down pillow with 100% down-proof cotton baffle-box casing to prevent down shifting. Double shell construction for added softness and comfort. Sizes and weights: Standard - 20 x 26" - 20 oz, Queen - 20 x 30" - 23 oz, King - 20 x 36" - 26 oz.